Artificial turf is an ideal playing surface for a wide range of sports. Although football players may have been among the first to embrace it, they’re by no means the last. In fact, we’ve recently installed synthetic cricket turf at cricket batting cages in Dublin. We’re also providing customers throughout the San Francisco Bay Area with the synthetic cricket turf they need to install new fields. If you’re in the market for synthetic cricket turf, our team at Watersavers Turf will be happy to explain your options. Bay Area cricket leagues and teams need reliable playing surfaces. That’s why many opt for our artificial cricket pitch. For example, the nonprofit group behind the new batting cages in Dublin offers approximately 400 children the chance to practice a sport that wasn’t always available to kids in the area. Thanks to an artificial cricket pitch (made with our Putt 46-bicolor turf), they can practice their swings even in poor weather. That’s because an artificial cricket pitch drains water more quickly than live grass. The pitch doesn’t get sloppy, so practices don’t get canceled as often. Real grass can get torn up during gameplay. Because cricket balls are fairly hard, they can also cause damage to fields when they land. This results in an uneven surface which puts players at risk. When the surface isn’t even, kids are more likely to trip and fall. That’s not the case with a synthetic option. Again, the group behind the new batting cages in Dublin is a nonprofit. That means they need to find ways to save money while still doing what they can to give area kids a chance to play their favorite sport. With live grass, they would need to stay on top of upkeep. Watering, mowing, and repairing it can become very costly very quickly. Faux grass, on the other hand, only needs some minor cleaning from time to time. This reduces upkeep expenses. Droughts aren’t uncommon in the Bay Area. Lack of water often forces residents to use this key resource sparingly. Sports fields can become bare and ugly as a result. Luckily, synthetic sports grass doesn’t need water to stay green and vibrant. This benefits both teams and the planet. Again, faux grass makes a smart surface option for many sports. Cricket is just one of them. This is important for schools and towns with limited space for fields. The space used for a cricket pitch can also be used as a football field, soccer field, and more. There are many reasons cricket is becoming popular in the Bay Area. Part of it is due to the growing Indo-American population. Cricket has long been a big sport in India. Local residents with Indian heritage want the chance to play it here. Artificial sports turf makes that possible. Artificial sports turf is ideal for this game due to the effect it has on the bounce and speed of the ball. Rough grass can slow a ball down when it lands. This results in slow, boring gameplay. When a ball lands on artificial sports turf, it can keep rolling and bouncing. The game simply becomes much more fun as a result. That’s a key reason we’re proud to supply teams and leagues throughout the area with playing surfaces. Although people of all ages can enjoy cricket, we think it’s very important that kids have a chance to play this game. Staying active at an early age will help them stay healthy throughout life. However, different kids like different sports. 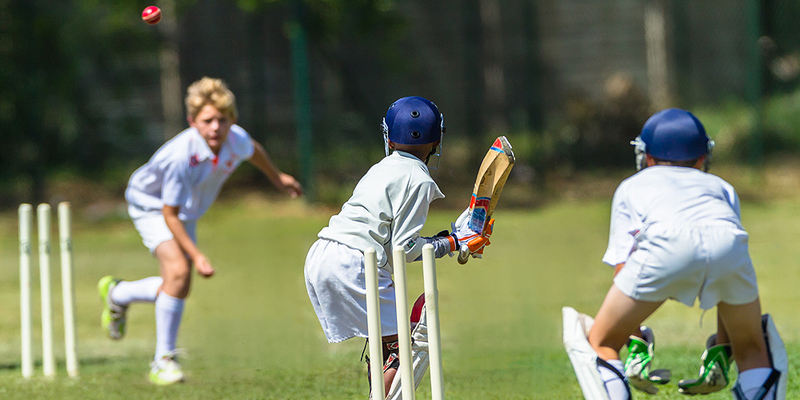 Our turf ensures that children who want to play cricket instead of another sport can do so. Are you interested in using this type of playing surface for your cricket pitch? If so, stop by one of Watersavers Turf’s SF Bay Area locations. Our experts will provide you with all the info you need to find the right option for your goals. If you’re having trouble choosing one, no worries. We also offer free large 1’ x 1’ turf samples. They’ll help you better assess your options. You don’t even need to live in the Bay Area to take advantage of our services. We gladly ship our products to any spot in the Continental United States. Give us a call at 844-974-8873 to learn more. If you’d prefer, you can also chat with us online. Use that time to ask about our free estimates and delivery offers!